Donald Trump and other business and industry leaders attended military school and claim it prepared them for their careers. So, what is a military school? – Christian boarding schools and Christian therapeutic schools. What do business tycoon Donald Trump (pictured above), racing legend Dale Earnhardt, Jr., composer and lyricist Stephen Sondheim and actor Lorenzo Lamas have in common? They all went to military school. And while these individuals are very different, military school played a role in each their unique paths toward future success. Military school is a mystery for many people, and misconceptions abound. The truth is that while today’s military schools have evolved from those of years’ past, the goal remains the same: to develop young adults into tomorrow’s contributing citizens and engaged leaders. This resource for prospective parents takes you inside the hallowed halls to offer an insider’s look at the comprehensive military school experience. This comprehensive guide is designed to help you understand everything you need to know about military school in order to make the most informed decision for your child. Is Military School Right for Your Child? Can You Afford Military School? 1. What is Military School? With their rich heritage and bright future, today’s military schools represent a unique educational alternative to conventional college preparatory schools. In addition to a strong academic foundation, military schools integrate military principles into the curricula. Students learn valuable skills which not only prepare them for college, but for lifelong success — all within a safe and nurturing environment. These high-quality, reputable educational institutes are known to produce independent thinkers, accountable leaders and engaged citizens. Not all military schools are created equally. Also known military prep schools or military academies, today’s military schools offer a college preparatory curriculum for students in grades 6-12. Although there are some military schools for elementary-age children, they are less common. And while military schools have historically been for boys due to military tradition, many are now coeducational. Additionally, some military schools have a religious component. Contrary to popular belief, military schools are not meant for troubled teens. They will not tolerate boys or girls that will cause trouble on campus or in the classroom. Such students are either rejected outright, or are quickly expelled once they get in trouble on campus and the parents are often left footing the bill. If your teenager has behavioral issues, instead of a military school we recommend that you look at a school for troubled teens such as you can find by clicking here. Sometimes a troubled teen can go on to military school after their behavior is brought in line by first attending a therapeutic boarding school. Today’s independent military schools operate separately from oversight by state or federal entities and are instead governed by a board of trustees, which typically includes parent representation. Independent military schools complement conventional public schools but each have their own particular missions, expectations and environments.Funding for independent military schools comes directly from tuition and charitable donations. In addition to their academic and military core components, independent military schools emphasize a well-rounded curriculum including plenty of extracurricular activities and leadership activities, such as athletics, the arts, student clubs, and community service. Families choose military schools for a variety of reasons. Whether your goal is to help your child build self-esteem or develop lifelong leadership skills, today’s military schools offer both challenges and opportunities to young people. Regardless of their differences, all military schools share a common imperative: to provide a quality education for the “whole” student. Military schools share a common focus: educational excellence. Students are held to a high academic standard, and are prepared to meet and exceed these expectations. College admissions standards are more competitive than ever before, and military school gives students a valuable edge. It also lays the foundation for success during the college years and beyond. Leadership training and the development of character are core components of the military school education, and an integral part of the academic experience. Dedicated faculty and staff members are available to help students through challenging situations — both academic and otherwise. Respect for authority. Respect for their peers. Respect for each others. Military schools focus on fostering mutual respect across the full range of human relationships in order to boost confidence, engagement and achievement. Hazing and other types of abusive behavior are not part of the military school experience. The values learned in military school stay with students throughout their entire lives. Honor, duty, integrity and self-discipline are just a few of the hallmarks of the military school education. Service is also at the heart of military school experience. Military students learn that service to community and country is both requisite and rewarding. While individual accountability is a large part of the military approach, teamwork is an equally important element. The ability to work as part of a team serves students well in an increasingly collaborative society. Teamwork also builds self-control, listening skills, flexibility, and adaptability. Military schools offer structured and civil learning environments. In an increasingly disorganized society, this optimal academic environment is designed to help students learn and grow. Coming of age in the structured military school setting helps students be productive throughout their lives. The lessons learned in military school do not end when students graduate. The knowledge, critical thinking skills and values taught in military school classrooms are tools which can be leveraged into lifelong success — first at college and later in their chosen professions and as contributing members of society. Military boarding schools offer students particular advantages. In fact, a whopping 87 percent of boarding school students report feeling academically prepared for college — besting students of both public and private day schools, according to research from the Association of Boarding Schools (TABS). But it’s not just academics which are enriched by boarding school. An impressive percentage of boarding school grads (78 percent) also reported being uniquely prepared for non-academic aspects of college life, including time management, independence, and many others. This figure is particularly significant when compared with responses from public (23 percent) and private day (36 percent) students. 3. Is Military School Right for Your Child? If you’re like many people, the words “military school” may bring to mind thoughts of troubled kids being “broken” by rigid disciplinary tactics. However, most of these schools do not accept troubled kids. The profile of a modern military school student is far from the stereotype of the aggressive, rebellious teen headed down a path of self-destruction. Rather than breaking troubled teens, today’s military schools are focused on helping kids who really want to get ahead in life and parents who want to help get them the best possible education, free of distractions. So what students do excel in military school? If your child thrives in structured environments and requires discipline in order to reach his/her full potential, military school may be a good fit. Many families find that military school helps these kinds of students discover and tap into their innate potential. And while these students are sometimes deemed as “underachievers,” military school offers a setting geared to help them achieve. Students with mild learning challenges, including ADD and ADHD, often find success in the smaller, controlled classrooms of military school as long as their behavior has not become too disruptive. While military schools are indeed structured, they should not be mistaken for reform school or boot camp. In fact, military schools are not for students with behavioral issues, such as low attendance rates, lack of respect for authority figures, trouble with the law, drug use, and poor grades. Many military students must first pass an entrance exam demonstrating an acceptable academic record. Unlike alternative schools, military schools do not focus on remediation, and are not equipped to support teens and families with emotional or behavioral problems. In short, if your child needs or enjoys structure, and would enjoy an academic experience with military, athletic and extracurricular components, military school may offer the ideal learning environment. If you’re still not sure whether military school is the right choice for your child, a summer school program might help you decide. These programs offer families the opportunity to experience the military school environment without making a full-year commitment. This not only offers valuable insight into how your child will adapt as a student, but also gives entering students the chance to familiarize themselves with the environment and its expectations. While morning reveille and taps at lights out may come to mind when you think of military school, a day in the life of a military school student consists of much more than that. From sunrise to sunset, military school students are engaged in meaningful activities. Cadets wake early, clean their barracks for inspection, have breakfast, and get ready for class. Some schools also incorporate a morning physical training session, consisting of calisthenics with their company. Classes meet throughout the day breaking for lunch in the Mess Hall. Regular tutorial periods are scheduled throughout the day for students in need of extra assistance. More classes are held after lunch in the Mess Hall, followed by plenty of opportunity for sports and physical training. These activities don’t just promote physical fitness, but also help build confidence and appreciation for the great outdoors. Dinner in the Mess Hall is typically followed by Call to Quarters (CQ), a supervised evening study period staffed by faculty and academic counselors with access to libraries and computer labs. After reporting back to their barracks, students relax and prepare for the day ahead. Taps signals lights out for the night. 5. Can You Afford Military School? Funded by the government, public day military schools, also known as charter schools or military schools, do not charge tuition fees or room and board. These are not as common as private military schools, but are an excellent option for families who live in their vicinities. Currently, there are public military schools in Illinois,Georgia, Maryland, Missouri, New Jersey, New Mexico, Pennsylvania, Virginia, and Wisconsin. The cost of private military school is also variable, but most range between $3,000 to $5,000 a month for the nine-month school year, including tuition and room and board. Many require the full tuition up front, while others allow flexible payment plans. You can expect to pay up between $1,000 and $4,000 for additional costs, such as uniforms, books, transportation, enrollment fees, medical appointments, health insurance, student fees, special class fees, and college testing and applications. While this price tag may sound exorbitant, there are several ways to offset the cost. If you live near the military school, day programs are significantly less than the boarding option. Other schools offer a five-day boarding program which can also help trim down the expense. Additionally, many schools offer sibling discounts for families sending multiple children. Other possible tuition breaks exist for early tuition payments, state residents, and faculty and staff discounts. Most schools offer financial aid and military scholarships — both need-based and merit-based — to help offset costs. Additionally, eligible families can take advantage of educational loans. The Admissions and Financial Aid Office at your military school can offer valuable assistance in determining whether you qualify for financial aid along with pointing you in the direction of scholarship opportunities which can significantly reduce the cost of a high-quality military school education. A visit to each prospective school’s website should offer helpful information about the admissions and application process. When you have narrowed your list down to several choices, a campus visit is highly recommended. Not only does this give you the opportunity to see the campus and facilities firsthand, it also lets you directly experience the school’s learning environment as well as meet with current students and faculty. Each school has a different “feel,” and a campus visit is the best way to one that “feels right.” Remember: a school doesn’t choose the student; the application process offers a mutual opportunity to determine the best partnership. While each school’s admissions processes and academic requirement standards may differ, they typically take into account a diverse range of factors, including standardized testing, academic transcripts, character references and recommendations, personal characteristics, and unique skills or talents. Each school’s Admissions Department is available to answer specific questions or concerns, provide additional information, or help with scheduling a campus visit or interview. Unfortunately, there are many myths about military school. Here, we set the record straight on a few of the most common misconceptions. 1. Are teaching faculty retired military officers? While many military school faculty members have proudly served in the military, it’s not a requisite. Military academies hire based on teaching experience, subject matter expertise, and fit for the particular school environment. Many military school teachers have at least one advanced degree, demonstrating their commitment to academic excellence. 2. Military school students receive an education based entirely on military methods. While a commitment to the core values of the military is a significant part of the military school ethos, there are a number of other priorities, beginning with academics and extending to the fine and performing arts, sports, other extracurricular activities and community service. 3. The food and facilities at military schools are terrible. While television and movies may make it look like gruel for breakfast, lunch and dinner is standard operating procedure, military schools serve well-balanced meals which are designed to both fuel up cadets while fostering a pleasant community dining experience. Many military schools also offer special events, such as formal dinners, barbecues and picnics, throughout the academic school year. Additionally, military schools are constantly upgrading their facilities, and many feature state-of-the-art classrooms and barracks designed to enhance the learning experience. 4. Military schools are stuck in the past. While military schools are rooted in tradition and structure, they are also committed to progress and innovation. Technology is an integral part of preparing students for what lies ahead, and most military schools maintain a commitment to staying on the cutting edge of technology. 5. Military schools lack diversity. Many people are surprised to learn that military schools attract students from countries around the world. This results in a cultural and cosmopolitan campus atmosphere designed to prepare students for today’s global society. 6. Military school students are unwilling attendees. The majority of military school students want to be at school, and are there of their own will. Military students get to experience many things other kids never get to do — from learning basic survival skills to paintball games to rappelling down towers. In addition to academic, military and extracurricular requirements, there is also plenty of time for fun and forming bonds that last a lifetime. 7. Dress codes are restrictive and inhibit a sense of individualism. Dress codes serve a specific purpose: they minimize distractions while helping students understand the importance of being their very best under every circumstance. Pressed uniforms and shined shoes don’t just look nice, they also demonstrate accountability and commitment to excellence. While some students might initially reject the idea of a dress code, most eventually accept and even appreciate their value. 8. Military school students have a service obligation. There is no military obligation associated with military school. While some schools offer Junior Reserve Officers Training (ROTC) programs, these leadership opportunities are not accompanied by any kind of military obligation. Nor are military schools feeder programs for enlistment. While some students enter military service following graduation, the vast majority continue on to college. Conversely, attending military school does not guarantee a student a place at one of the country’s service academies. Exemplary performance can certainly help with admissions, but meeting the particular academy’s admissions requirements along with nomination by a congressman are the determining factors. For students who do plan on a military career, military schools offer a beneficial boost. Military school students don’t just gain access to a premier college preparatory and military education, they also participate in athletics and extracurricular activities — all innate components of a structured, daily program designed to educate the “whole” person and allow your child to develop to his/her fullest potential. Ultimately, the decision to send your child to military school can be a difficult one, but remember: it has transformative potential. Military School USA is designed to help you along every step of the journey. Should you need help finding therapeutic boarding schools, emotional growth schools, and boarding high schools please let us know. Military schools offer structure, mentorship and a safe environment that limits distractions and temptations that can detract from academic and personal progress. Still, military schools are not always the right choice for every young person. While military schools offer structure, and academic and athletic discipline in a controlled environment, military schools are not intended to act as a rehabilitation program. Military schools want students who wish to prepare themselves for a future in a collegiate, military, or professional setting. 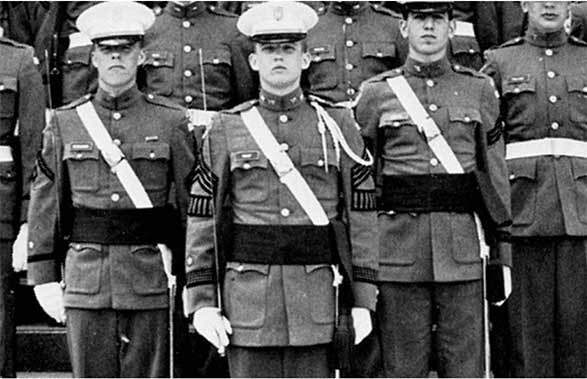 Donald Trump and other business and industry leaders attended military school and claim it prepared them for their careers. So, what is a military school?